Rubbish Removal Swiss Cottage is an established provider of NW3 rubbish removal services in and around the Swiss Cottage area of London. With a comprehensive range of services and a fully trained team of disposal experts, there is nothing that we can’t get rid of. So if you have waste, junk or furniture which you want to dispose of, call now on 020 8434 7399. Our packages are offered at the lowest price in the local area and will always offer you excellent value for money. For more information, speak to one of our advisors now! 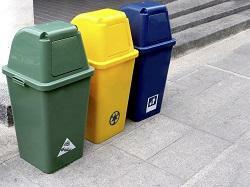 We offer excellent waste disposal solutions for homes and businesses throughout the NW3 district. Call our specialists on 020 8434 7399 and we will help you at the most cost-effective prices possible. Waste Clearances You Can Rely On in NW3 Area! Do you need to have a clear-out of your home? Perhaps you’ve got piles of junk or old furniture which you need to get rid of? Whatever it is, our clearance team are here to help! With large vans and an experienced team of workers, we can make light work of all of your junk disposal NW3 needs. Even full house clearances are no problem for our experts, who can clear everything from small flats to large family homes. So if you need to get your property clean after damage or building work, you can call right now on 020 8434 7399 now! Getting your excess waste collected can be a bit of a nightmare, especially with strict recycling rules and disposal guidelines. That is why we have decided to simplify matters by offering a flexible and affordable waste removal service in Swiss Cottage. Suitable for homes and businesses alike, our service is better than those offered by anyone else. So if you want to get your everyday household waste or excess piles of junk collected, you should book now and hire our waste disposal specialists! We offer the lowest waste removal prices in the NW6 area and will always find you an unbelievably good deal! We offer a flexible range of disposal packages throughout the NW3 area of London. Offering everything from furniture pick-ups and junk disposal to everyday rubbish removal, there is no job that we can’t take care of. Our extensive team of experts can even help out with last minute or weekend collections, picking up your rubbish any day of the week. So don’t wait days to get your NW3 rubbish collected when all you need to do is give us a call. We can collect and dispose of all sorts of everyday waste and specialist rubbish and will always be happy to book you in ASAP! Rubbish Removal Swiss Cottage is a ‘green’ rubbish removal company that has an extensive recycling policy aimed at protecting the local environment. With a focused team and a keen attention to detail, we have higher recycling rates than many other local firms. So if you want to be sure that your rubbish is being disposed of in a safe and secure manner, you should book your services with our local office. We are the number one provider of services in Swiss Cottage and are well-known for having excellent eco-credentials. To get a free quote, dial 020 8434 7399! We offer incredible deals throughout the NW6 area and are proud to be the number one choice for homes and businesses in need of Swiss Cottage waste disposal help! Copyright © 2015 Rubbish Removal Swiss Cottage. All rights reserved. Description: By dialling 020 8434 7399 you will get the most affordable rubbish recycling service offered all over Swiss Cottage, NW3. Get a same-day service now!